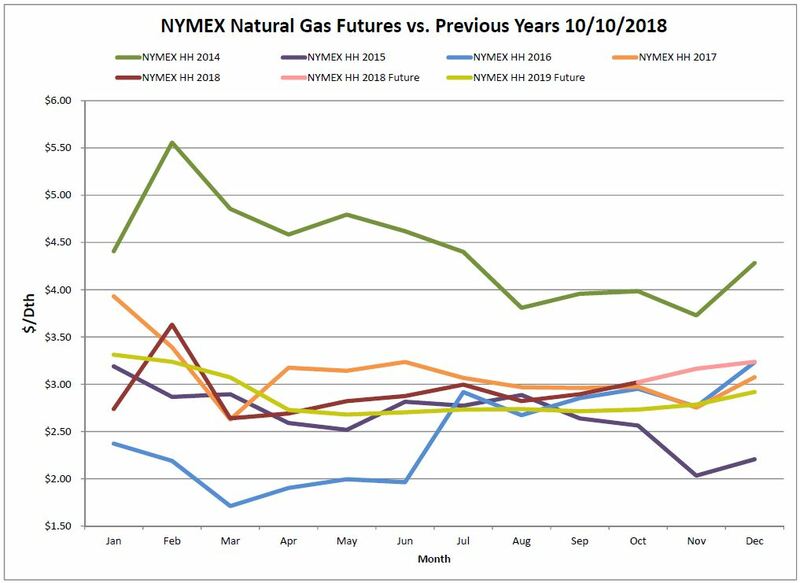 New England and New York saw decreases in forward pricing. The 12-month average is primarily driven by the near-term months of November to February; outward months and years are still opportune. 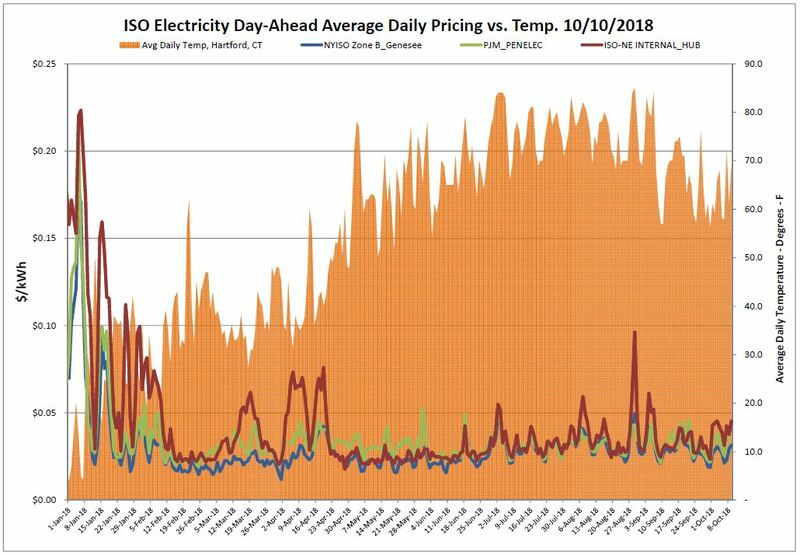 Temperatures continue to trend above normal leading to expected volatility in the daily electric market. Expected to flatten out as temperatures are expected to normalize in the coming weeks. November pricing continues to climb. Over the previous 5 years November has closed below October whereas, currently, November is trading much closer to December above the $3.20 mark. This further separates the month from the historic trend and October’s closing price of $3.021. 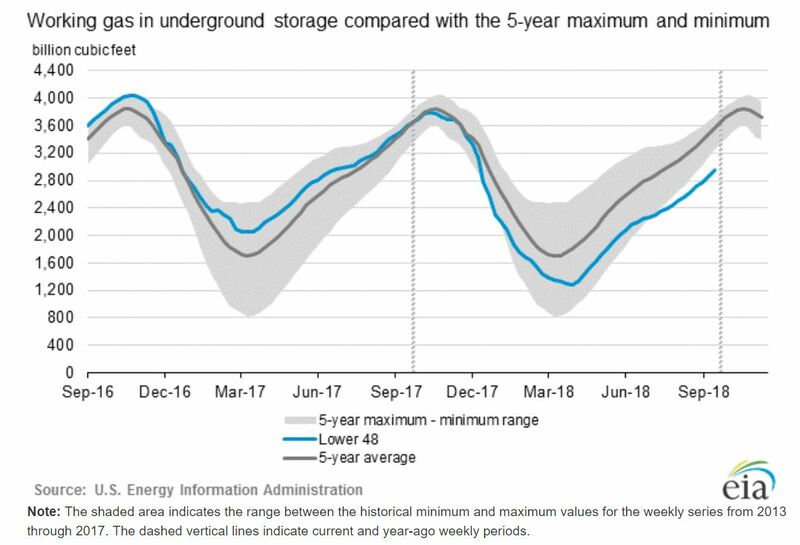 Working gas in storage was 2,956 Bcf as of Friday, October 5, 2018, according to EIA estimates. This represents a net increase of 98 Bcf from the previous week. 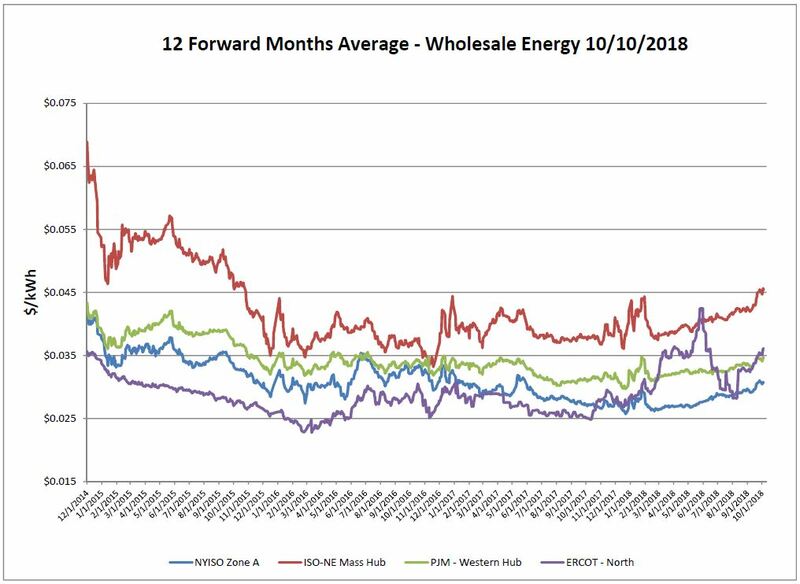 With only a few weeks left in the storage season there would need to be injections of 120 Bcf above the 5 year average each week in order to close the gap that has formed between current storage levels and the 5 year average. 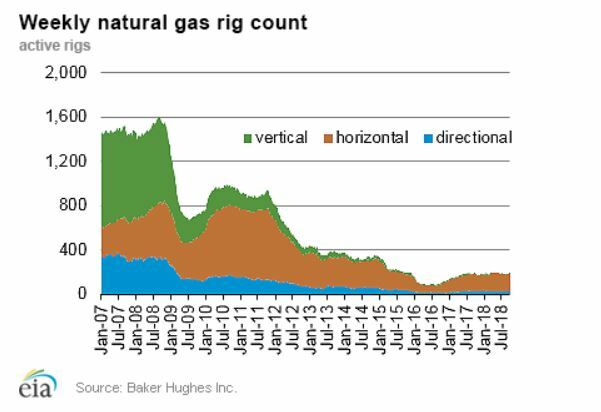 The Baker Hughes exploration gas rig count increased by four this week to 193; this is eight more than were in operation at this time one year ago. 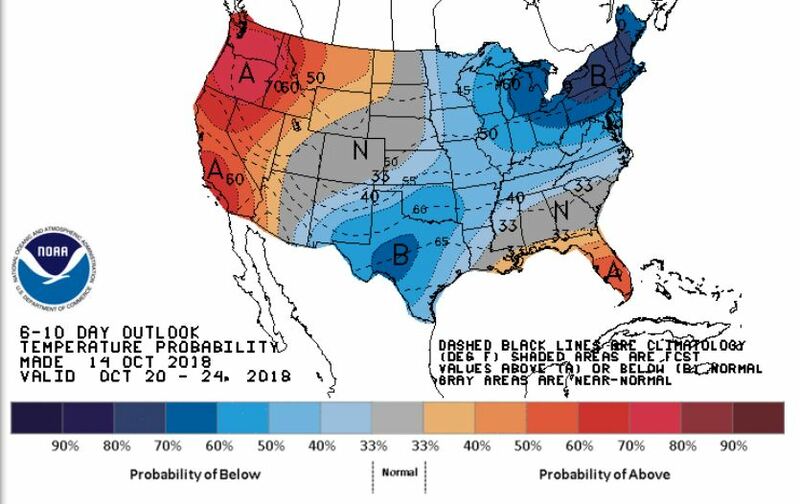 Weather forecasts show cooler than normal temperatures for most of the Eastern United States with warmer than normal temperatures expected in Florida and the West Coast.